Red (R), green (G) and blue (B) are the basic colours of light. The combination of these lights (via an additive synthesis process) makes it possible to obtain a colour x in a fixed Colour Space (adobe 1998, sRGB, …). Video production (TV, cinema, monitors, projectors, etc.) uses this process to generate the colours of the projected images. The three primary colours have the minimum value 0 (zero) and maximum 255. Zero = light off, no colour, when the 3 primary colours have this value: it is black. 255 = maximum light, when the 3 primary colours have this value: it is white. One can also translate the RGB values ​​into the hexadecimal system (eg #5ba0bd) to write in more compact code. This number base is useful especially for web developers and engineers. 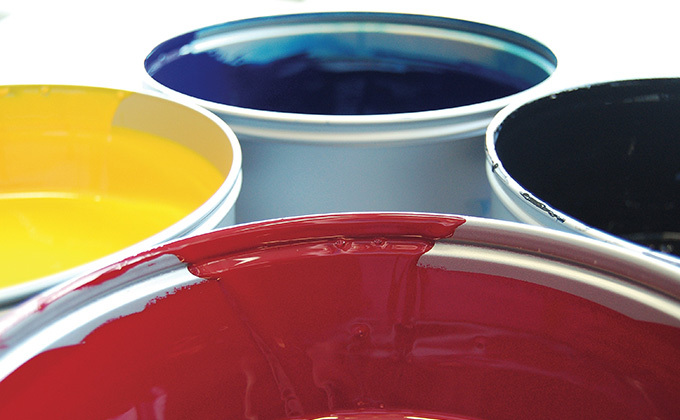 Cyan (C), magenta (M), yellow (Y) and black (K) inks are the basic colours of four-colour printing. The combination of inks (via a subtractive synthesis process) makes it possible to obtain a colour x in a fixed Colour space (Euroscale, SWOP, …). Subtractive synthesis, unlike additive synthesis, makes it possible to perceive colour through the absorption of light by the pigment of the ink. The four primary colours have a minimum value of 0% and a maximum of 100%. 0% = no ink, no printing point. 100% = ink at at a maximum. We must be careful when it comes to the maximum ink coverage (ink limit) depending on the type of ink and paper to being used, in order to avoid and smudging and off-setting (misprinting) or the ink bleeding. 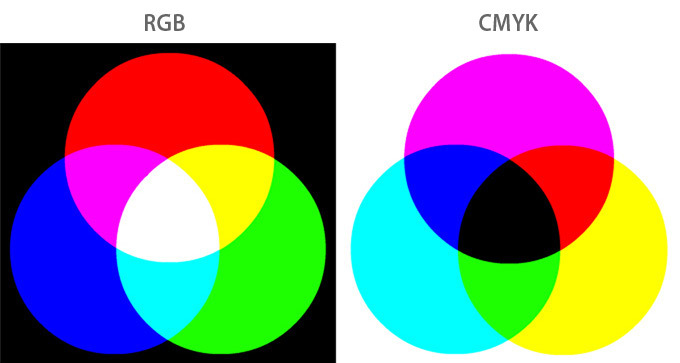 For colour optimization, some printers may require the inclusion of their own colour table (colour space) in the file (s) to be sent to them.